Abandoned at birth and fostered by the royal clan of Gwynedd, Taliesin lives to become the greatest bard of his time, one whose name is still revered today. 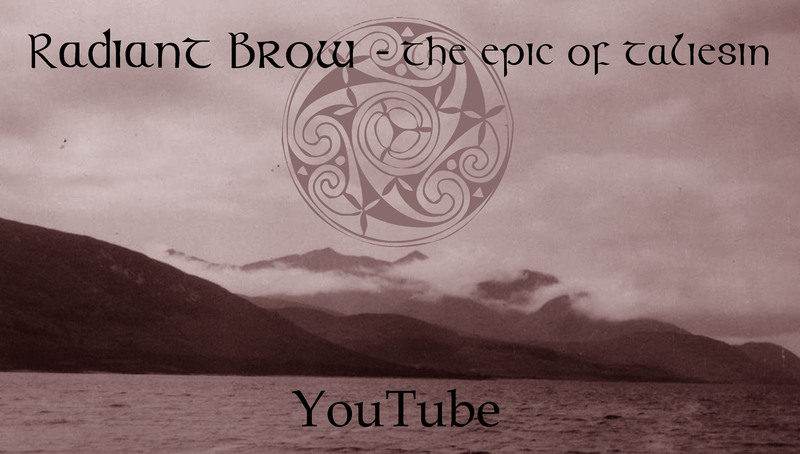 But he pays the price for power, for his fierce dedication to the goddess Ceridwen and to the land of his ancestors. Whilst he fight the Anglo-Saxon enemy and for unity amongst his people, he also fights a battle within, and faces conflict between love and loyalty. As the Britons lose ground and are torn apart by tribal rivalry, Taliesin’s own life reaches a crisis, and he must make an ultimate decision. Taliesin was a real person, but the reality about him is an enigma. This novel weaves his dreams and desires, his fears and hopes, all bound up with the frailties, emotions and general life that everyone enjoys and endures….. 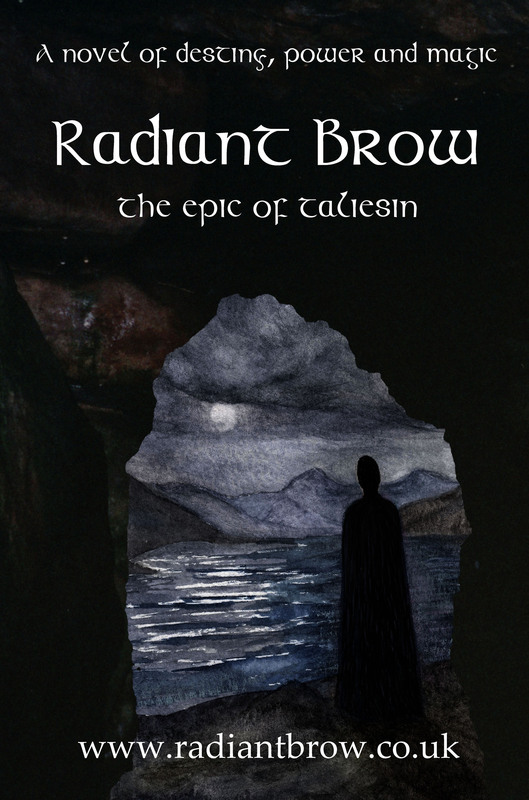 The descriptions bring the era to life – slip into the past and sit in the mead hall, and listen to the bard telling his tales…..
‘Radiant Brow’ tells the story of Taliesin the bard, a generation or so after the death of King Arthur. 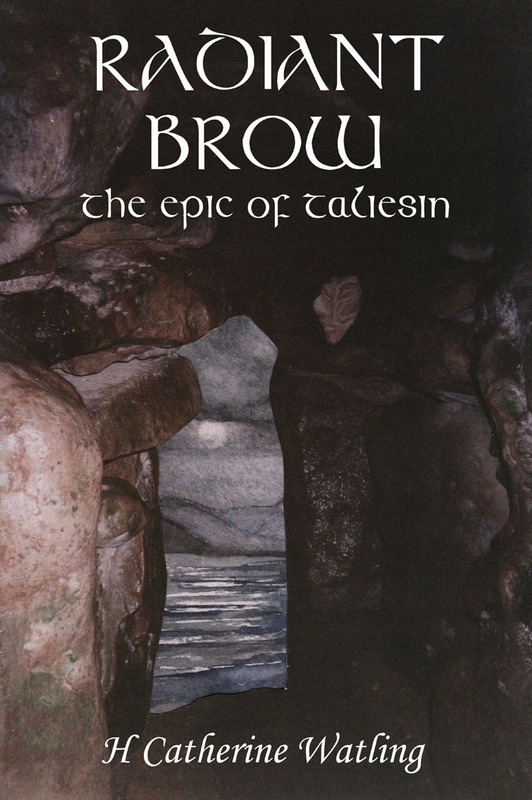 The story weaves together elements of the mythical Taliesin of the ‘Mabinogion’, with an imagining of Taliesin as a living bard of the Britons in the Dark Ages, in the face of ever present Saxon encroachment. It is an extraordinarily well-written novel and will appeal to those who enjoy the works of Juliet Marillier and Jules Watson……. Readers familiar with the ‘Mabinogion’ and Dark Age myths will enjoy the appearance of some of the characters from those stories. Myrddin/Merlin has a particularly original role to play, adrift in his madness upon a mountaintop. The goddess Ceridwen is ever present as muse, guide and inner voice….. I highly recommend this novel, which is both an entertaining and thought provoking read. ‘Touchstone’ readers will recall Catherine’s contributions especially on the bardic arts, and here she turns to historical fiction and a subject dear to any follower of the bardic path. 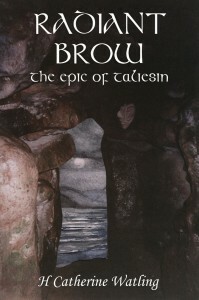 She bases her story on the fact that there are ‘two’ Taliesins: the mythical hero of the story of Little Gwion and an actual person who lived in the 6th century……..
She had skillfully introduced the story of little Gwion into the bard’s life as events experienced in trance, dream, meditation, or as part of initiatory ordeals, to produce the most satisfying end evocative parts of the book and a wholly satisfactory way of identifying ‘both’ Taliesins as aspects of the same person. The latter sections deal with the sweep of history, the realities of constant warfare and the place of the bard, inviting comparison with the works of Rosemary Sutcliffe and Mary Stewart…..